BONNIE RAITT: NICK OF TIME: 1989: 5 STARS OUT OF 5 STARS: This was Bonnie Raitt’s 10th album and up to this point commercially the top charting album she had hit #30. She won three Grammy Awards including one for Best Album of The Year for Nick Of Time and the album then shot up to #1. There were no hit singles on the album. Favorite songs- John Hiatt’s Thing Called Love, Nick Of Time, Have A Heart. This gave Raitt’s career a huge boost to say the least. BONNIE RAITT: LUCK OF THE DRAW: 1991: 4 1/2 STARS OUT OF 5 STARS: The follow up to Nick of Time- actually sold more copies than Nick of Time. Peaked at #2 on the album chart and gave her three hit singles- Something To Talk About, I Can’t Make You Love Me and Not The Only One. It has sold 7 million copies. 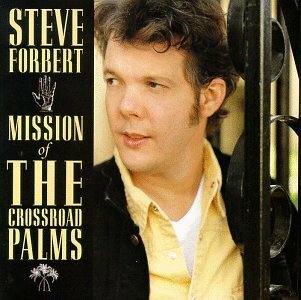 STEVE FORBERT: MISSION OF THE CROSSROAD PALMS: 1995: 4 STARS OUT OF 5 STARS: After his first few albums the buzz on Steve Forbert quieted down but his career had kept on going. Garry Tallent of the E-Street Band producing. Favorite songs- Lay Down Your Weary Tune Again, It Sure Was Better Back Then, Don’t Talk To Me and So Good To Feel Good Again. 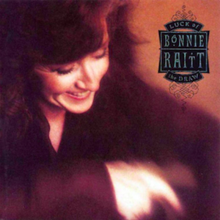 I will admit I’m one of those who didn’t discover Bonnie Raitt until this album… I then listened to Runaway and worked my way through her catalog. Same here I knew the name but not the music. Her winning those Grammy’s was a real out of nowhere thing.